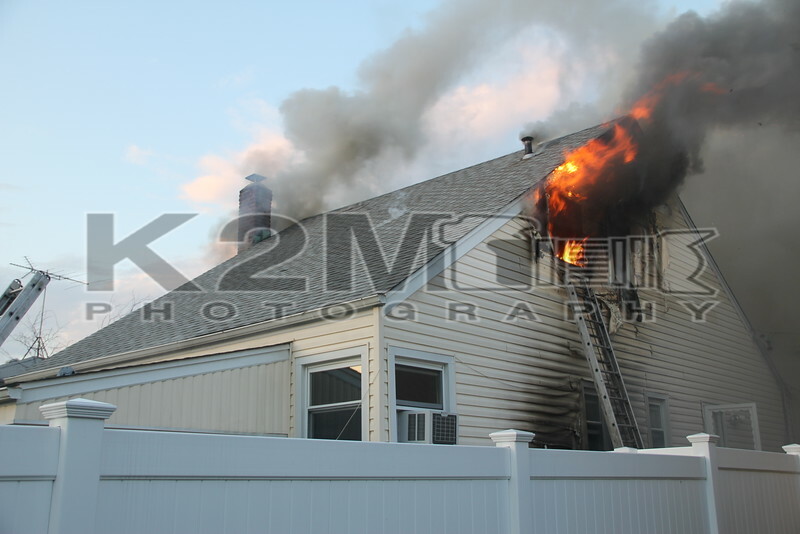 Around 19:55 hours on the evening of June 2nd, the Uniondale Fire Department was dispatched to a reported house fire with possible entrapment within the home. The location of the fire was 220 Fenimore Avenue, with Front and Braxton Streets as the cross streets. First precinct officers were the first on scene and reported a working fire. When Uniondale chief 7501 arrived on scene he was faced with a heavy fire load on the second floor of the home and immediately transmitted a signal ten [working fire]. The first firefighters on scene wasted no time and took to the home to begin their primary searches. After checking the basement, first, and second floor their searches proved negative. The later secondary searches provided the same results. The fire was heavy throughout the two, three corner of the home and auto exposed itself out the one and two sides of the private dwelling. At least two lines were put into operation and came off of Uniondale Engine 7522. Uniondale Ladder 7544 took to the front of the home and put the ladder up to a second floor window to assist in operations. North Bellmore responded to the scene and acted as the FAST team. Standing by in Uniondale headquarters was Hempstead Ladder Two, a Franklin Square Engine, and an ambulance from Westbury. Firefighters had the main body of fire knocked down within twenty minutes and all units were under the command of Uniondale Chief of Department  Anthony Lebron.